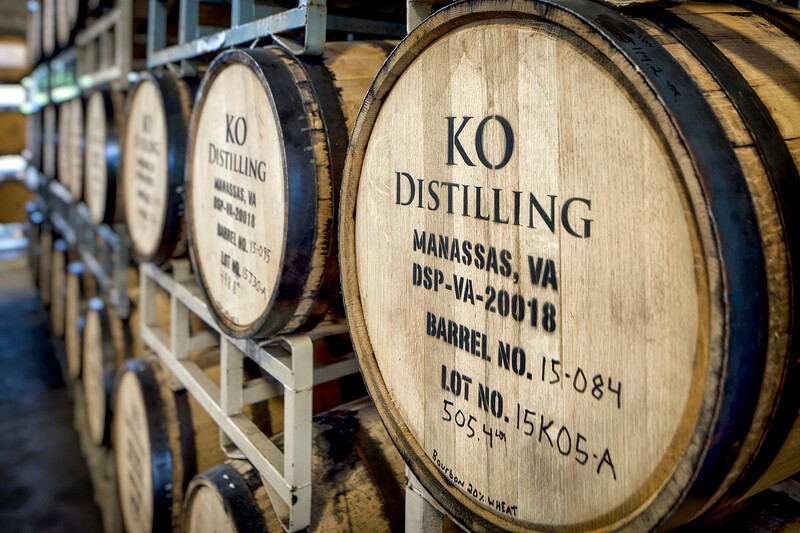 Rapid growth along with expansion grants from Virginia and the City of Manassas put KO Distilling in an unusual position for a relatively new distillery: It was ready to triple production. Central to this plan was the addition of a 30-foot high, 12-inch diameter column still. KO once again contracted Loveless Porter, the original architect. Sean Porter recommended strategically opening the roof so as not to disturb its integrity, adding a “dog house” that would create vertical space–and visual interest. It was also the most economical solution from a construction standpoint. 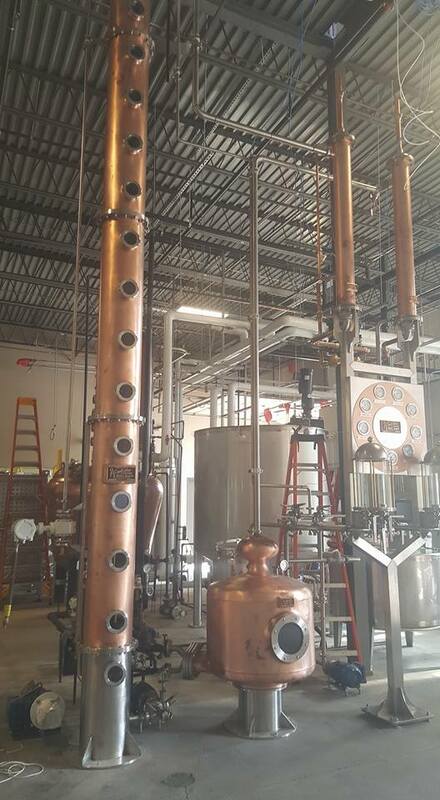 Completed in late 2017, the expansion also accommodated six 1,000-gallon fermentation tanks; a 1,000-gallon Vendome mash tun; a higher capacity boiler and chiller system and larger grain silos, allowing KO to increase production from 225 barrels a year to 800. 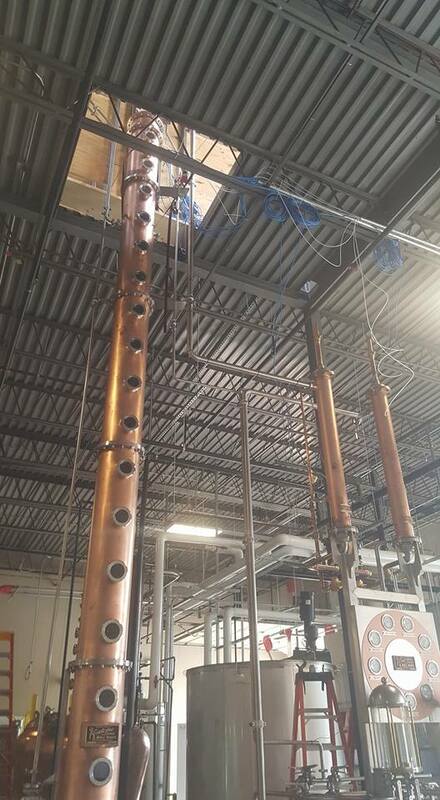 “Our new column still enables continuous distillation, and as a result, we will be able to produce more and keep up with the increasing demand for our award-winning portfolio,” said KO President and Head Distiller John O’Mara. 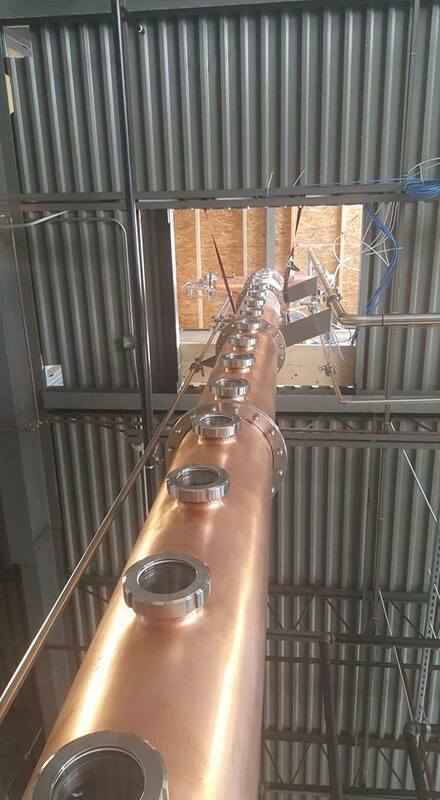 Read more about the expansion of KO Distilling in BevNet. This was the second project that Loveless Porter undertook with KO Distilling.